A Wireless Router is a networking device that is used to share your network or Internet connection through Wi-Fi, so that your other Wi-Fi enabled devices can get access to the Internet. For your home internet you do not need to have those big and expensive wireless routers, but only a decent Wi-Fi router with good range & performance will do the job. So here is a buying guide on how to select a good Wireless or Wi-Fi router for your home network or internet. Some people buy the ADSL / DSL modem with built in Wi-Fi functionality so that they do not have to buy an additional Wi-Fi router, but having an additional wireless router has its own advantages that are mentioned below. Here are some advantages of having a separate wireless router for your internet at home. You can buy a wireless router according to your choice and specifications and you do not have to stick with the wireless capability of a wireless ADSL / DSL modem. If you want greater Wi-Fi range then you can have the freedom to get a router with double antennas, higher speed and specs. Also there are various brands or companies to choose from and each router model one have its own sets of features. I have seen that the separate wireless router performs better as compared to the wireless DSL modem. This is because the wireless routers are built for their specialized purpose only and nothing else. You will definitely get more features and functionality on Wi-Fi Router rather than Wi-Fi enabled DSL Modem. If you want to upgrade to a better wireless router in the future then you don’t have to change the modem again, so in the first place you purchase a simple DSL modem only. Here are some very important things that you should keep in mind when choosing a wireless router for your home internet connection. The speed or bandwidth of a router is defined as the rate at which it can transfer data to other devices. Nowadays their speed starts from 150 Mbps and goes in high Gbps. For home use, a router with 150 Mbps or 300 Mbps is more than enough, as you are going to use it for internet purpose only. The internet speed at home connection is generally much slower i.e. in the range of 1 Mbps to 2 Mbps (up to 8 Mbps for some), so it does not matter whether you buy a 150 Mbps, 300 Mbps or 1 Gbps wireless router. The performance of all routers in this case will be almost the same because your speed is limited by your Internet connection but the router can operate much faster if the internet speed is faster. For example if you have a 4 Mbps internet connection and using a 150 Mbps wireless router then your computer will only receive speed in the range of 4 Mbps only because the router can transmit at higher speed but it is being fed only at the rate of 4 Mbps only. The range of a wireless router is defined as its coverage up to where it can transmit its radio signals provided there is no obstruction between them. Most of these routers work on the same 2.4 GHz band but they can have different range because the range also depends on other factors like components quality, design, number of antennas and technology used. Here I advise you to get a router with external antenna as they provide wider signal coverage. If you need extra more coverage and range then you can go for wireless routers with multiple antennas. They will cost a bit more but you will get more wireless range. Make sure that the wireless router you are choosing have at least 4 LAN ports. 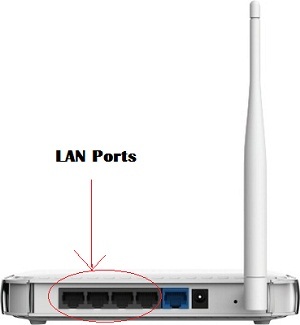 LAN ports are very essential as you can have more options for expansion, and even if your wireless functionality of router or laptop is not working for any reason then you can use Ethernet / LAN ports for connecting your computer or laptop to the Internet. There should be proper and sufficient vents on the top, side and bottom of the router for good airflow. This helps in maintaining your router temperature to lower levels otherwise your router can get damaged because of overheating, if you are running it for 24 hours daily. This is one of the most important factor when choosing a wireless router. A good branded wireless router will give your better performance, better speed, wide coverage or range, durability and reliability, whereas a local branded router will give you only trouble other than anything else. 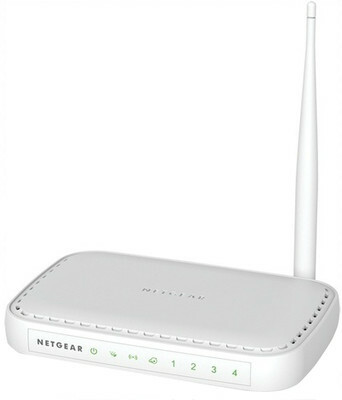 Some good brands of wireless routers are Netgear, TP-Link, D-Link, Asus, Cisco Linksys, Belkin. Nowadays wireless routers come with additional features like built-in firewall, bandwidth control, additional encryption and security features. You can get this information about them on the internet or manufacturers website. I want to buy a wireless router my budget is 2000 kindly suggest me some good router….sir is zyxl is a good brand or better thn asus here one networking solution agency told me is it so??? I would suggest you Asus RT-N12 D1 Wireless-N300 3-in-1 Router/AP/Range Extender. It is a 3-in 1 device i.e. Router/Access Point /Range Extender. It will cost you at around Rs. 1.7k. ZyXEL is not a well known brand and is definitely not better than ASUS. I understand the meaning of router range extender but sir what is the access point wht dose this mean??? Plz can u explain it..
An access point is a device that is used to connect two or more devices to a network. The network can be Internet or any other network. It is used as a bridge between wireless and wired networks. will it have same feature as rt d12 execpt a usb port. sir is it a good choice???? Asus RT-N10U B is also a good router with same features (as RT-N12 D1) + 3G/4G modem connectivity option. The wireless range of RT-N12 D1 might be better because of double antennas. Both are good routers and you can go for any one of them. which broadband connection do you have? You can download “Broadband Usage Meter” from softpedia[dot]com or you can download similar type of tools by using search terms Broadband Usage Meter or Broadband Usage Monitor in google. easyly install wid prfct budget. I have recently moved to a 5 BHK adjoined flat. I am using Asus RTN-10E router but range s not good enough. Suggest me a better router or a setup which gives me range and speed. Should I use another router as repeater ? Kindly suggest me a router for my purpose. Thank you for your suggestion.!! But since repeater decreases speed, is there any solution like a more powerful router which will serve my purpose. I am going in for ACT fibernet and the executive told that i need to purchase a router could you please suggest a good router and also what is first fiber home ACT’s last mile fiber switch which the executive told that they need to install it in the premises for them to give a connection will there be any problem and what about the current consumption of that. Thanking you in advance. For router i would suggest you to go for Tenda F3 300 Mbps wireless router. You can buy it here http://www.amazon.in/Tenda-300Mbps-Wireless-antenna-F3/dp/B0151AM5UG/?tag=aksha0b-21 and for ACT last mile fiber switch you have to talk to their representative as i do not have information on this. Thank you for your reply however i would like to know how to connect this to my desktop computer would i need to buy anything additional or not. Thank you in advance. It is super easy to set up and you can find the complete guide here http://www.tendacn.com/en/services/helplist-526.html. Also you do not need anything extra for this device. Thank you for your reply and advice i have placed the order for the same. Great..and if you have any other queries in future then feel free to ask. Thank You so much for your help and all that you are doing…….. I would like to know how i can convert by desktop wired internet connection to a wireless one and and will there be a speed difference even if the router is closer to the desktop and if i am to buy something please provide me with the details. Thanking you in advance. You can plug-in your LAN cable (internet one) to the router and then configure the wireless settings for Wi-Fi internet. Also the speed difference for wireless connection is minimal but it also depends on other factors too. I am planning to go for wifi for my desktop due to the clutter of wires so could you please suggest me best adapters which are very good and the speed is also high…Which is best usb adapters or pci for wifi. Thanking you in advance. i had browsed online and managed to get some details please find below the products that i have browsed please suggest which would be the best from these or if you have anything that is best as i am not much into this please give me your suggestion as to which to go ahead and buy .Thanking you in advance. i have bsnl FTTH CONNECTION 50 mbps and their ONT 404i plus my D-LINK 2750U WIFI MODEM is it enough or i have to buy ROUTER in place of D-LINK 2750U. If your modem has Wi-Fi router functionality then it is enough.